Tove Kristin Karlsen graduated from the University of Oslo in 1979 with the subjects sociology and history at intermediate level and public and international law at basic level. 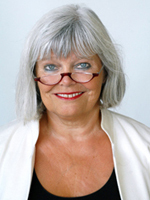 Ms Karlsen has held the positions of Principal Executive Officer of the Norwegian Academy of Music and Director of the Faculty of Social Sciences at the University of Oslo, and has held various senior positions in the same faculty. She is chairman of the boards of the 17th century manor Barony Rosendal and the Weis-Rosenkrone Foundation (DWRS); she is substitute member on the board of the Foundation for Student Life (SiO) and is chairperson of the Nordic Association of University Administrators (NUAS).